Industry experts share their hard-earned advice to help you get the most out of Maya. Maya is undoubtedly an industry leader in the world of 3D. It has a vast array of uses and applications, and is utilised across the creation of characters, animation, VR and environments. Such is the all-encompassing nature of the software, that getting the most out of its tools and features can be a daunting prospect for any artist. We have assembled a diverse group of artists to share their top tips for mastering Maya. These tips come from Pat Imrie, Reza Shams, Stephen Studyvin and Tsubasa Nakai. Our experts cover a range of disciplines from university lecturers, to CG supervisors and freelancers. 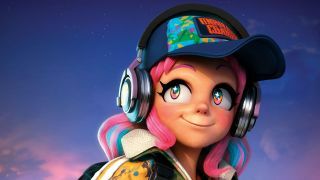 Whether you’re looking to enhance your character building, speed up your workflow, or you’re entirely new to Maya, you are sure to find some helpful words of wisdom in this handy feature. For more advice to help improve your 3D art, take a look at our roundup of more Maya tutorials. Maya provides a vast number of features for its users, but the more are added, the longer it can take to boot, and when on a deadline every minute counts. Go to Windows > Settings & Preferences > Plug-in Manager to find a number of roll-out menus where you can Load, Unload or Auto load various plugins. Unloading anything you don’t need will speed up Maya’s boot time as it can just skip any of the heftier features. For example, I primarily work as a modeller so I’ll unload any advanced rigging options (see image) as well as FX-heavy plugins such as Bifrost. Soft Selection is a well-known modelling feature accessed via the ‘B’ hotkey. By default it’s a great tool, but it’s worth diving into the Tool Options to gain more control. Changing the Falloff mode from Volume to Surface for instance will allow better accuracy when adjusting areas such as eyes and lips (see image). If your model is in separate parts, setting the Falloff mode to Global will expand the falloff to the whole model. You can also adjust the Radius and the Curve Falloff to fine-tune your selection, which I find invaluable when creating facial shapes. In recent versions of Maya, sculpting tools from Mudbox have been incorporated into the toolset. For me, however, they still don’t have the immediacy or performance of using them natively in Mudbox. This is where the Sculpt Geometry Tool comes in handy. Found in Surfaces > Sculpt Geometry Tool, this tool has a set of basic but practical brushes. The most useful of these is the Relax Brush, which is an excellent way to keep faces uniform while modelling, and for removing detail without losing much of the form, which is likely to happen when using the Smooth option. The ability to work smoothly with large data sets in Maya has improved with every new release, however, you will find that the viewport will still lag from time to time. One way around this is to enable the Backface Culling option from Shading > Backface Culling – this will stop the viewport from drawing faces that are not currently facing the scene camera. You can see how this improves viewport speed by going to Display > Heads Up Display and enabling Frame Rate, then toggle Backface Culling on and off to see how much your viewport speed improves. The Edit Edge Flow feature was a welcome addition to the Maya modelling toolset. Essentially it enables you to intelligently and quickly average out an inserted edge loop so that it conforms to the form of an existing model, negating the need to edit manually and allowing you to model quicker and more accurately. This is perfect for creating clean and accurate meshes, and is accessed by going to Edit Mesh > Edit Edge Flow. Or, when you have an edge loop selected, hold Shift and press the right mouse button to bring up a marking menu with the command available at the bottom of the menu. Make a custom marking menu and custom hotkeys – it’ll speed up your work and you’ll have easy access to the tools. Arrange the Maya Shelves according to your taste and add any tools you’re going to need to them. This method enables you to quickly access the commands in the menus on the shelves. You can even create new icons for tools, changing Maya to suit your taste. Use the camera rig for animation and motion in your scenes. This is the best way to control the camera in 3D scenes. You can rig any type of camera, with so many options for controlling it available. Try this tip for speedy Retopology. Import your high-poly model then create a low-poly primitive object that resembles the high poly. Edit and resize the low-poly object UVs to make them like the high-poly model, then delete the history and freeze transform the low-poly object. Select the high-poly then low-poly mesh and go to: Mesh > Transfer Attributes. Finally, edit Transfer Attributes as seen in the screenshot. Create a circle and some curves, then extrude the circle on the curves and deform it. Create a UV for the trunk. Create a low-poly plan and assign some branch texture with alphas set to transparency. Make the tree trunk live and add branches. Create a plan and 10 subdivisions in width and height, then select the inner edge and go to Create > Sets > Quick Select Set. Select all of the faces and go to Edit Mesh > Poke. Go to Select > Quick Select Set > Set, and delete the edges. Finally, delete the selected face. Maya uses a folder structure to organise project files, keeping all the files associated with the project in one directory. When opening a scene associated with a Maya project, and especially when switching between projects, set the project folder first before opening the scene file. Simplify setting projects by opening Maya first, then choose File > Open Scene. In the Open window, click Set Project to open the Set Project window. Choose the project directory, click the Set button, then open the scene file from the Open window after the Set Project window closes. Maya keeps track of all files associated with a scene in a project directory. In some cases, working with a single file without a project directory will work, but any associated files with the scene should be kept in a Maya project directory. If the project directory is set, Maya will look for all scene files, Maya ASCII or Maya Binary files, in the scene's directory. Image files used as textures placed in the sourceimages folder will be automatically located when the scene file opens. Rendered images, or maps generated, will be stored and saved in the images directory. Turn on the Resolution Gate to display a guide in the main viewport that represents the final rendered area. The Resolution Gate is displayed as a framed area in the main viewport which will be the same camera framing as the final rendered image. The rendering resolution height and width are displayed in the masked area above the Resolution Gate in the viewport when the resolution gate is active. The name of the camera is also displayed in the masked portion below the gate mask. The resolution settings are set in the Image Size section of the Render Settings window. You can set a keyframe on an object, camera or light by selecting it and pressing S on the keyboard. This sets a keyframe on the selection at the frame indicated on the timeline, for the attributes displayed in the Channel Box. Usually the current position, rotation, scale and visibility are available in the Channel Box. You can set keys on specific attributes by selecting the channels to key, right-clicking on any of the selected labels in the Channel Box, and then choosing Key Selected from the menu. When Maya opens a new scene several default cameras are created. One camera is the default perspective view that is used to look around the scene, named persp. While this camera can be used for final rendering, it is not best when animating with camera movement that requires keyframes on the camera. Using keyframed cameras to look around the scene will pop back to the keyframes locations when scrubbing on the timeline. Add a new camera for rendering and keyframing by going to Create > Cameras > Camera. When making something repeatable like an ornament or stitch pattern, use Attach to Motion Path and Flow Path Object in Maya. These are very useful for scattering many detailed objects across a complex surface. You can make beautiful hair with few guide curves if you can use XGen modifiers. Start by making hair from guide curves with XGen. Create a clumping modifier to clump a big bundle of hair, then create a second clumping modifier to clump a medium bundle of hair, followed by a third to clump a small bundle of hair. Making a cut modifier will help you achieve natural tips of hairs. Lastly, create a noise modifier to obtain a natural hair stream and frizz. Make face textures with only procedural nodes because they're easy to make and reuse, plus gradation is beautiful. First, construct the shader tree before blending the textures with the layered texture node. You can find the best look by adjusting the Alpha amount. Connect the layered texture to SubSurface Color, and adjust the skin shader to look like the image. This tip is useful for creating guide curves for a stylised character’s hair. Create the base hair, but be sure to make holes on both ends to extract the curve from the mesh. Next, create some joints and use a spline IK handle to deform easily, then skin using them. Scatter hair objects on the head with a spline IK handle. Next, extract curves from the mesh. Finally, you have to arrange the directions, select the opposite direction’s curve, and select Curves > Reverse Direction. With this method, you can make guide curves as you design. Cryptomatte is an ID matte creation tool created by Psyop, it creates ID mattes to do look development or final adjustments automatically. After installing, create the Cryptomatte AOVs in Render Settings. Select an AOV and view it in the Attribute editor. It should be visible in the Shader under Custom AOV. You can export three ID mattes to follow demand object, material, asset. You may find it useful to make big changes in Photoshop or Nuke using the ID mattes, this will help find a new look when you're stuck with an image. This tip is especially useful when you're on tight deadlines and need something new quickly. This article was originally published in 3D World, the world's best-selling magazine for CG artists. Buy issue 241 or subscribe.